It has been three years, five months and seven days since I began serving as your City Council Member. I am deeply proud of the work we have accomplished together and excited for the road ahead. I want to thank all whom I have already had a chance to meet and look forward to meeting you or seeing you again at my District Office at 244 East 93rd Street for First Friday, Brainstorm with Ben, monthly events (BenKallos.com/Events) or I can come to you if you gather ten neighbors for Ben In Your Building. If you would like to compare my goals with actions over the past two years, please have a look at my 2013 Policy Book as well as my Inauguration and three States of the District, where we looked to the past and prepared for a bright future. I am proud of these achievements, but I know we have much more to do together. Thank you for your support over the past two years. I am looking forward to all we can accomplish in the remainder of my first term. Since running for office in 2013, I have advocated for Universal Pre-Kindergarten, joining Mayor de Blasio to win $300 million from Albany, only to be disappointed with the insufficient number of seats on the Upper East Side—154 seats for 2,767 four-year-olds as reported by WNYC in 2014. I have worked with parents, community groups, private providers and the Department of Education to quintuple the number of seats to 618 in 2016. In response to the loss of seats in 2017 we've expanded our coalition to include Congress Member Maloney, Comptroller Stringer, Public Advocate James, Borough President Brewer, Senator Krueger, Assembly Member Seawright and Quart and Council Member Garodnick, and have won two additional pre-kindergarten sites with two more in the pipeline for 2018-19 to bring over a hundred new seats to the neighborhood. If you are interested in working with our office to identify new locations in public or private schools or even retail space, please email UPK Benkallos [dot] com. The New York Times in February 2017 covered my bill that would show just how many children on the Upper East Side and throughout the city are not offered a seat in the school of their choice and where they end up. In 2015, more than half of would be pre-kindergarteners on the Upper East Side were not offered school seats in their zip codes, 429 out of 796 or 54% of applicants. In 2016 in School District 2, spanning from the Financial District to the Upper East Side, 1,696 preschoolers took the Gifted and Talented exam with 838 eligible, 652 applying and only 346 receiving offers according to Department of Education, meaning 306 preschoolers, making up 47% of applicants, were turned away. For more information read the release at BenKallos.com/Press-Releases or coverage in the New York Times. No child should go hungry in one of the wealthiest cities in the world. But children who arrive late, don't have money for lunch or are simply too embarrassed to stand in a separate line and pay with a free lunch voucher go hungry and that is a problem. In all honesty as the child of single mom, I was one of those kids who made the poor choice to hungry. I am proud to have secured $6.25 million in 2014 to bring a free lunch pilot to Middle School students, $17.9 million in 2015 to fund “breakfast after the bell” to fight hunger for 339,000 children at 530 elementary schools, and $12.5 million for the coming school year to expand free lunch to every grade school student. I will continue to fight until all 1.1 million public school students can have a healthy breakfast, lunch, snacks, and dinner, so they don't have to worry where their next meal is coming from and can focus on learning. P.S. 77 Lower Lab - $233,000 for mobile STEM carts, technology, laptops and A/C. P.S. 151 Yorkville Community School - $143,000 for technology and laptops. P.S. 158 Bayard Taylor - $324,000 for technology and laptops. P.S. 183 Robert Stevenson - $203,000 for technology and laptops. P.S./I.S. 217 Roosevelt Island - $295,000 for technology and laptops. P.S. 225 Ella Baker - $75,000 for laptops. P.S. 290 Manhattan New School - $75,000 for laptops. P.S. 527 East Side School for Social Action - $175,000 for theater and technology. M.S. 114 East Side Middle School - $106,000 for laptops. M.S. 177 Yorkville East Middle School - $128,000 for technology and laptops. Eleanor Roosevelt High School - $234,000 for classrooms, technology, and laptops. Manhattan International High School - $140,000 for technology and laptops. Urban Academy High School - $213,000 for technology and laptops. Vanguard High School - $105,000 for technology and laptops. Talent Unlimited High School - $195,000 for auditorium and technology. Life Sciences Secondary and High School - $105,000 for technology and laptops. 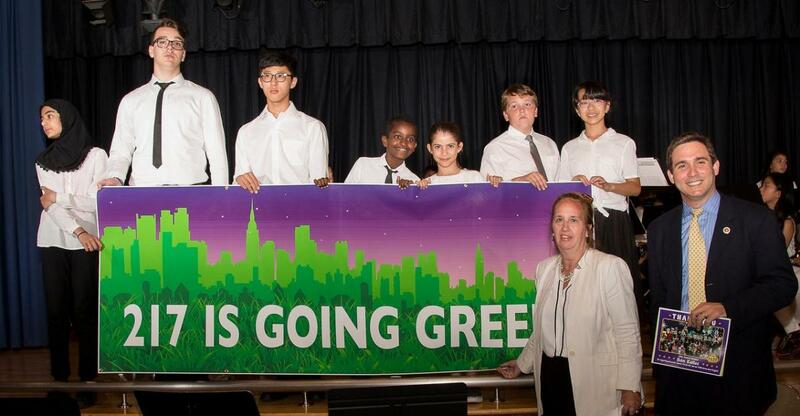 This will provide students an opportunity to be exposed to the future of energy and inspire them to look to careers of the future, as well as understand environmental protection. I was pleased to join Governor Cuomo, MTA Chair Prendergast, MTA Capital Construction President Horodniceanu, Manhattan Borough President Brewer, Assembly Member Seawright and Building Trades President LaBarbera, to cut the ribbon on the 86th Street Second Avenue Subway Station. As reported by WABC 7, I also had the privilege of welcoming the New Year with an inaugural ride with Governor Cuomo, other elected officials, and residents who had to live through the construction. After so many years of construction and constant press conferences led by Congress Member Maloney to keep the construction on track, I am proud to finally have it open. 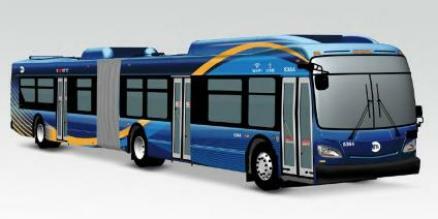 The Upper East Side is getting 79 new buses serving the M15, M101, M102, and M103, as reported in Our Town. After years of advocacy and analysis of BusTime data, I identified the issue of “missing buses” with the help of BetaNYC, BusTurnaround.nyc, and TWU Local 100. I brought the issue of “missing buses” to the attention of the MTA at a meeting convened by Senator Liz Krueger. The MTA shared that bus lines based out of the Tuskegee Depot in my district were among the oldest in the system, leading to more frequent than usual breakdowns, and they agreed to prioritize these buses for replacement. The new buses are equipped with WiFi, USB charging, next stop screens, and pedestrian safety measures. For more information, read the release or coverage in Our Town, Upper East Side Patch or DNAinfo. The M79 is an award winning bus line, having the dubious honor of winning the NYPIRG Straphangers Campaign Pokey Award in 2014 for the slowest speed with a 3.2 mile per hour crawl, slower than Hawaiian Lava flow. According to BusTurnaround.NYC the M79 now goes 4.3 miles per hour, slower than most people walk. That is why in 2016, following great results from Select Bus Service implementation for the M86, I requested it for the remaining crosstown routes in my district: the M66, M96 and of course the M79. In May, the Department of Transportation released its progress report on the M86 SBS route, illustrating the success of the new route. In addition to a 96% customer satisfaction rating, the report notes that since the M86 SBS was established in July of 2015, ridership on the M86 route has grown by 7% and travel times have decreased by as much as 11%. If the M86 is any indicator I hope to see similar improvements in satisfaction for the M79 with the implementation of Select Bus Service. Read my remarks or the release from DOT and MTA, or watch the launch. Ferry Service for the East Side and Roosevelt Island: Following years of advocacy from my campaign to office, I am proud that there will be new stops for Roosevelt Island in 2017 and 62nd and 90th Streets by 2018. Ferry rides will include free WiFi and will cost the same as MetroCard swipe as we utilize our waterfronts to improve commutes. After more than 20 years of operating on interim agreements, the City Council approved a 50-year franchise agreement between the City of New York and the Roosevelt Island Operating Corporation (RIOC). 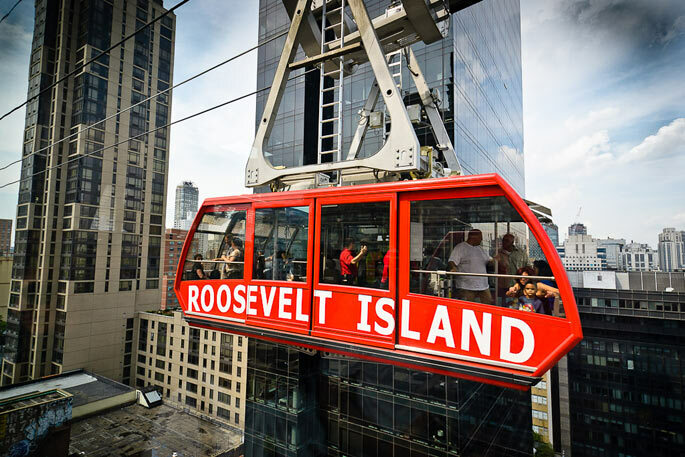 The agreement was approved for two 25-year terms, granting the City the authority to negotiate with RIOC to continue operating the unique aerial tramway from Tramway Plaza on Second Avenue in Manhattan over the East River onto Roosevelt Island. As the Village Voice and Roosevelt Islander blog reported: “The Tram” has been managed by the State through RIOC since 1995 despite a bureaucratic quirk. The new agreement settles past issues that forced interim agreements to become the norm. Now by allowing for the continuation of advertising on the interior of the cars and stations, but prohibiting advertisements on the exteriors of the stations and tram cars, we were able to negotiate this agreement a generational agreement. 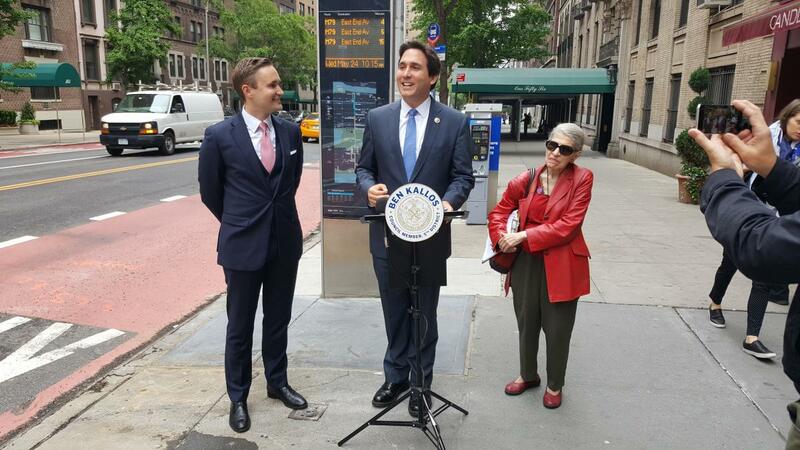 It is clear now that the Roosevelt Island Tram is here to stay and after 20 years of needless bureaucracy, we’ve protected it. To find out more about this deal read the release or the articles in the Village Voice and Roosevelt Islander blog. My office worked with the MTS Community Advisory Group (CAG), fellow elected officials and the Department of Transportation (DOT) to make safety improvements to the intersections surrounding the Marine Transfer Station site: agreeing to adjust signal timing on the intersections on York Avenue. 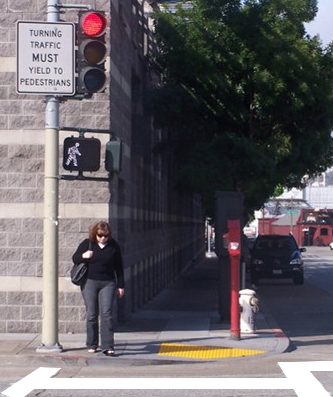 Leading Pedestrian Interval Signals (LPIS), where the walk sign shows before cars get a green light, have been installed at 19 of the intersections. This will allow pedestrians on these corners the opportunity to enter the crosswalk before cars begin to turn. 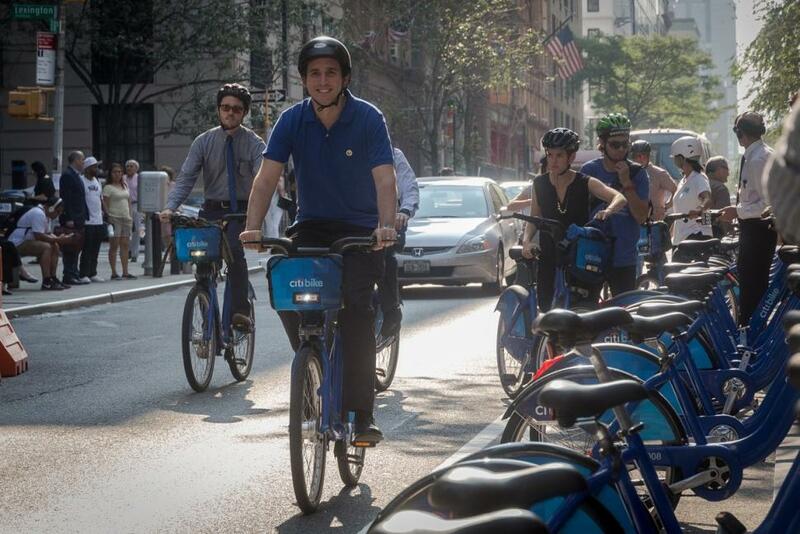 CitiBike has opened 25 stations on the Upper East Side in my Council District. Thank you to the hundreds of people who provided feedback, online and in person at community forums working with Department of Transportation and my office to find the right place for each station to benefit local businesses and residents. I wanted bike share users to be as safe as possible, so CitiBike provides a monthly 90-minute bike safety class at my office with the offer of a free day pass or additional month on an annual membership. Drivers, riders, bikers, and pedestrians have all expressed concerns about their safety, so we’ve expanded our Bike Safety Program with Council Member Garodnick to cover the Upper East Side and Midtown East within the 17th and 19th precincts stretching from East 30th Street all the way to East 96th Street. Injuries are down for motorists and pedestrians. 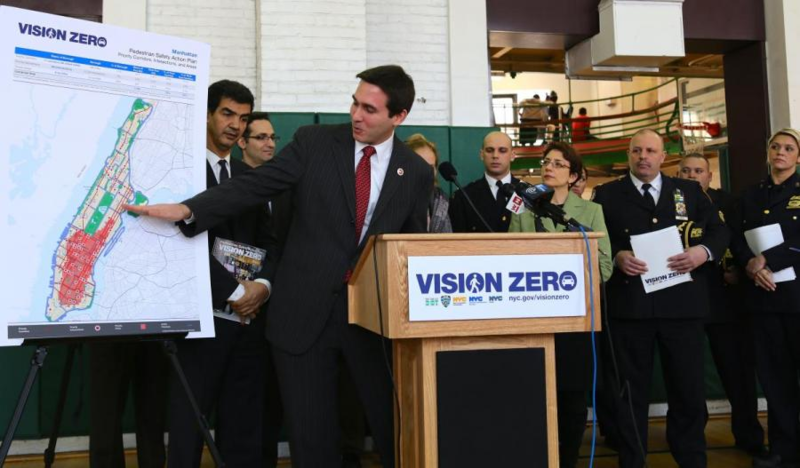 When I launched the Bike Safety Program, Pix11, CBS2, WNBC, and amNY, reported on its goal of making our streets safer for pedestrians, cyclists, and motorists to share with Education, Equipment, and Enforcement. 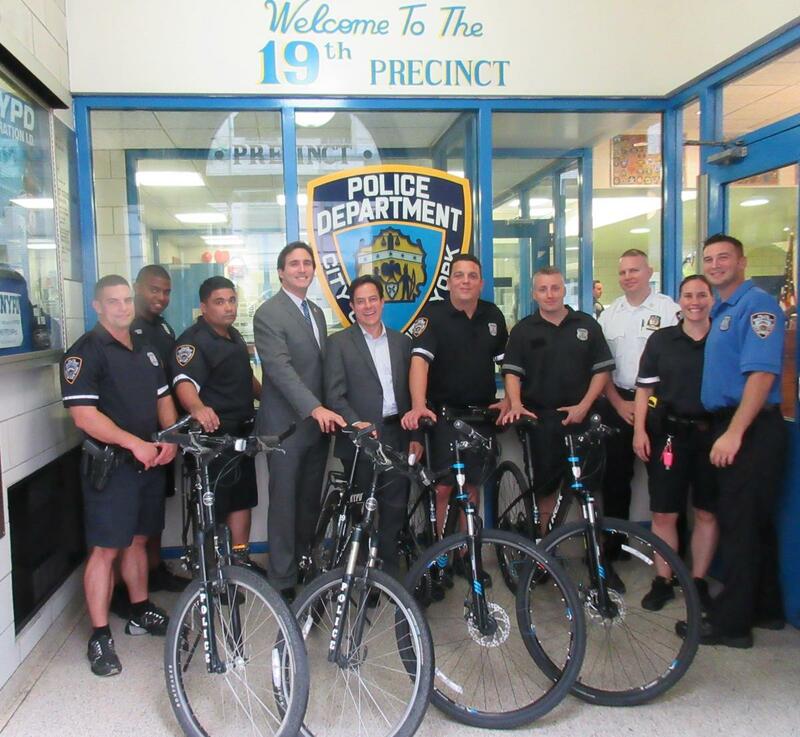 Grading restaurants on use of safety equipment and e-bikes with East 72nd Street Neighborhood Association. 17,615 moving violations issued to motor vehicles (6,123 for improper turns, 3,003 for running red lights and 1,450 for not yielding to pedestrians). 1,865 summonses issued to bicycle riders for disobeying red lights and riding the wrong way or on sidewalks (a nine-fold increase over 200 summonses issued by the 19th precinct in 2015). 70 seizures of electronic bikes. After hearing from seniors and disabled members of the community who couldn't cross the streets because sidewalk ramps were inaccessible for walkers and wheelchairs, I introduced legislation that would require landlords to fix crumbling curb cuts to ensure the 889,219 New Yorkers with disabilities and nearly one million residents 65 or older can cross the street safely. 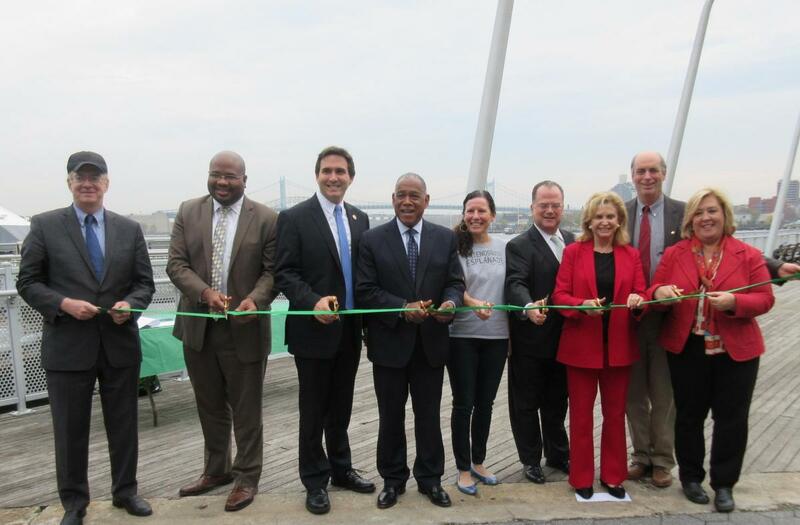 In late 2016, alongside Congress Member Carolyn Maloney and Parks Commissioner Mitchell Silver, I inaugurated the 90th Street, Pier Park. Now there is an additional 2,000 square feet of new park space on the Upper East Side. Thank you to Friends of the East River Esplanade chair Jennifer Ratner for helping make this park a reality for the community. Since 2014, I have been advocating the Department of Transportation and the New York City Parks Department to work together and with local leaders and turn this unused space into a much-needed park. 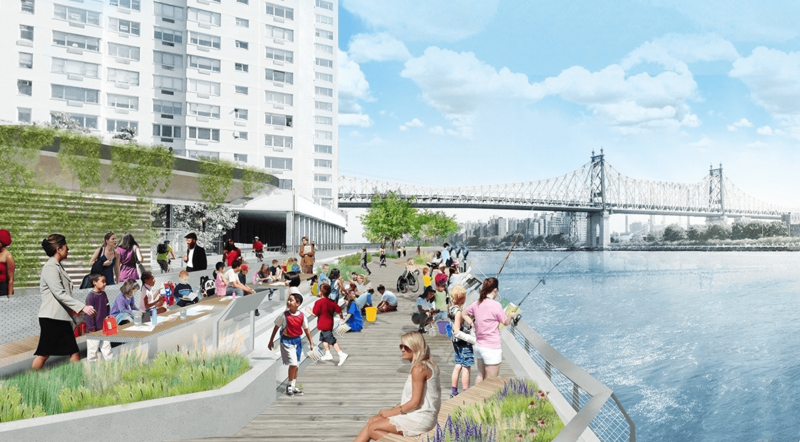 Read more about the new 90th Street Pier Park in the Upper East Side Patch and Manhattan Express. As sea levels rise and New York City continues to recover from Hurricane Sandy, we need to do as much as we can to protect our City from the dangers of climate change. In 2016, legislation I introduced to revive the Waterfront Management Advisory Board (WMAB) became law. 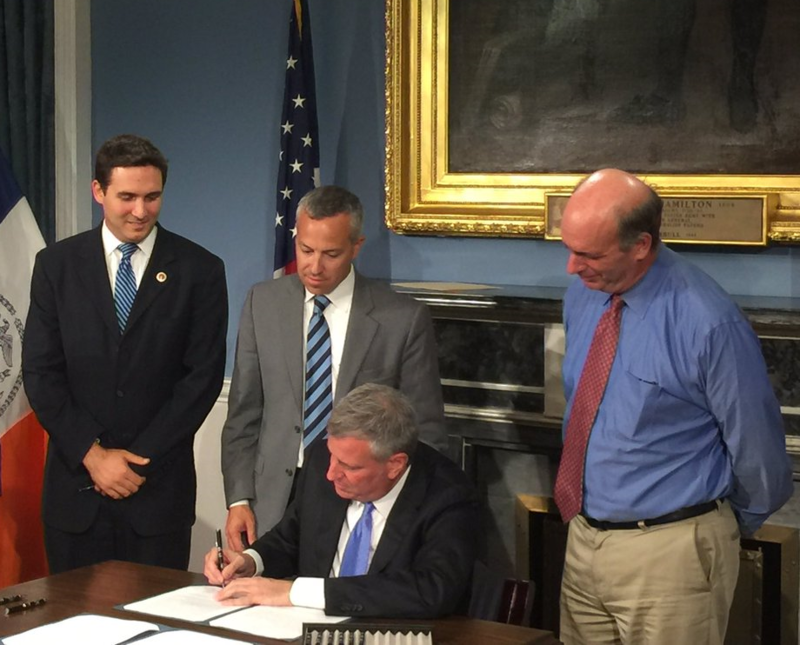 This legislation reconstituted the role of the City’s Waterfront Management Advisory Board, ensuring it plays an important part in advising New York City on how to best revitalize and protect our 520 miles of shoreline. Under the new law, membership to the board is expanded to include more diverse voices as well as every level of government. Read the law, release with the full list of benefits, and from coverage on SiLive.com. We are cleaning up the Upper East Side with 284 new large trash cans covering 104 intersections, which I purchased with $154,780 in initiative funding from my office. These new cans supplement the 38 I purchased last year with $20,710 in initiative funding as part of a successful pilot with the East 72nd and East 86th Street Neighborhood Associations. The East Sixties Neighborhood Association (ESNA) joined prior participants in requesting an expansion. The large cans feature a smaller opening designed to keep trash from spilling over onto the street with reports from the pilot of a decrease in litter and rodents. In addition to these efforts alongside DSNY, I continue to work to get a Business Improvement District (BID) organized that will help keep the streets clean in perpetuity. Learn more about the cleanup efforts by reading the most recent press releases on the 284 trash cans, watching the press conference or WNBC or reading coverage in the Patch and DNAinfo. I promise to replace every small wire trash can with a new large trash can on every corner that needs one and add another on those corners that need it, so please email me to request your new large trash can. 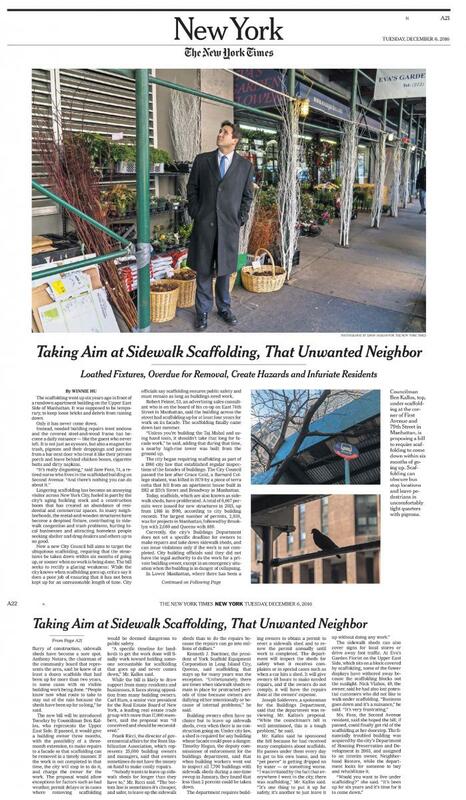 In late 2016, The New York Times reported on a bill I introduced aimed at dismantling at least some of the unnecessary scaffolds that span over 190 miles of New York City. The nearly 9,000 scaffolds currently up in our city are supposed to be temporary, meant to protect pedestrians while construction is going or conditions are unsafe, however, many have become permanent fixtures, attracting crime and providing a bad alternative shelter for the city’s homeless. My bill would force property owners to fix dangerous conditions within 6 months or else the city could step in to do the work and bill them for the expenses. In 2017 the legislation continues to gain support by the community recently been editorialized The New York Times. To learn more about the bill watch the coverage from WNYW, WABC,WCBS,WNBC read the release or read about it in Crain’s New York Business, Metro Upper East Side Patch, Habitat or The New York Times. More than $1.6 billion in quality of life violations are in the process of being collected by the City after legislation I introduced was signed into law. Environmental Control Board (ECB) or quality of live violations are issued to owners who do not clean or shoveling sidewalks, leave out excessive trash, or engage in noisy construction before or after hours. Prior to this package of legislation becoming law, many of the fines would go unpaid or paid as a “cost of doing business.” Prior to my law going into effect, we offered an amnesty program through Department of Finance to pay any outstanding violations without penalties or interest. My new law ensures that bad actors change their behavior or face the consequence of losing their license. When community members and I heard about these plans for a superscraper in April 2015, we sprang to action launching a petition that garnered support from over a thousand residents. In May 2015, within 45 days, Community Board 6 passed a resolution calling on the City Planning Commission to cap heights of the mid-blocks between First Avenue and Sutton, just like the rest of the neighborhood. But we didn’t wait for City Planning to do it for us, because we’d still be waiting. So I began visiting buildings throughout the neighborhood with the then Sutton Area Community President Dieter Seelig, to speak with residents about how they could help. I soon partnered with residents like Alan Kersh for a community-led rezoning effort joined by 45 neighborhood buildings and 2,000 individual supporters. Our efforts to stop the building of a proposed 1000 foot superscraper in the Sutton area was covered by Bloomberg News and the Daily News as the most sweeping residential re-zoning plan by a community group in New York City history. With the help of local heroes like Herndon Werth and Charles Fernandez, both of whom refused several buyout offers of their homes, as covered in the New York Times and Wall Street Journal, we’ve been winning the fight. In January 2016, we filed our pre-application and after months of pre-application meetings in December 2016, the East River Fifties Alliance, Borough President Brewer, State Senator Krueger, Council Member Garodnick and I formally filed our rezoning application. In June 2017, the City Planning Commission finally certified our application to rezone the mid-blocks of the Sutton area with a cap of 210 feet or as high as 260 if affordable housing is included on-site. Community Board 6 Manhattan has scheduled two additional meetings for a previously unheard of the 21-day timeline to return the application back to City Planning for a public hearing and vote. The city is watching, because this has never been done before and it is a race against time, one we hope to win! 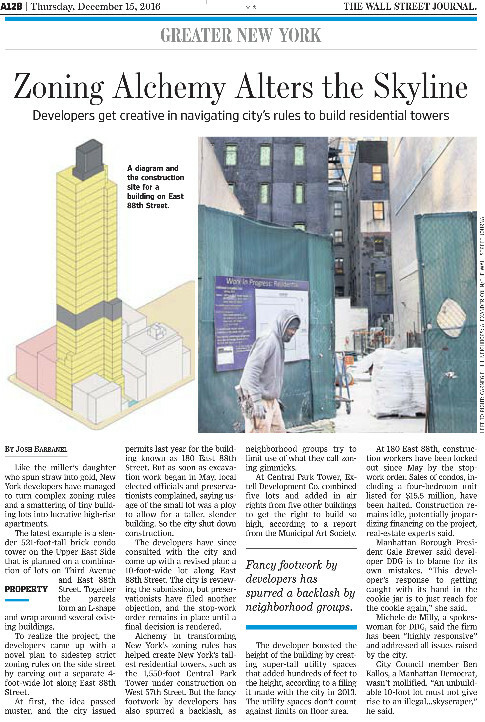 Construction of at 524-foot skyscraper at 180 East 88th Street was stopped through most of 2016, as reported by the New York Times. The stop work order was issued by the Department of Buildings after Manhattan Borough President Gale Brewer, State Senator Liz Krueger, Carnegie Hill Neighbors, local Planner George M. Janes, and I pointed out that the developer was creating a “four foot lot” loophole in order to build much higher than is legally allowed on the side streets in our neighborhood. The Wall Street Journal reported on our most recent zoning challenge mounted against the building, which came after the Department of Buildings approved new “amended” zoning plans. We will continue to fight overdevelopment. In the last 2 years, a record 33 construction workers have been killed on the Job in New York City, but the Occupational Safety and Health Administration (OSHA) and Department of Buildings (DOB) does not count all of them, especially non-workers who are injured. 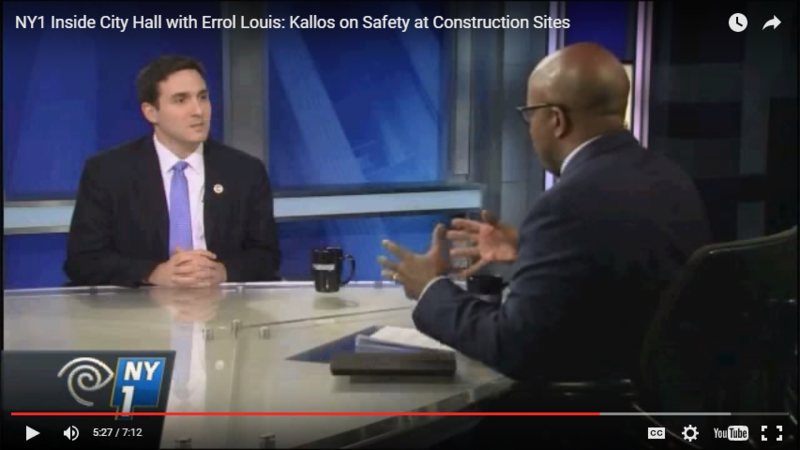 The New York Daily News reported on my Constructions Safety legislation that recently became law. Under Int. 1433-A construction companies will be forced to report on all details surrounding injuries and deaths at constructions sites or face fines up to $25,000. We must count every injury and every life, so that we will know the who, what, where and why around every injury or death to help make construction in our city safer. For more information on this law, or coverage in the New York Daily News. I was proud to cosponsor and vote for an expansion of the Senior Citizen Rent Increase Exemption (SCRIE) and Disabled Rent Increase Exemption (DRIE). The legislation expanded income eligibility for those receiving SCRIE and DRIE benefits to $50,000 from $29,000 – which will help many more seniors and disabled residents live at ease in New York City. 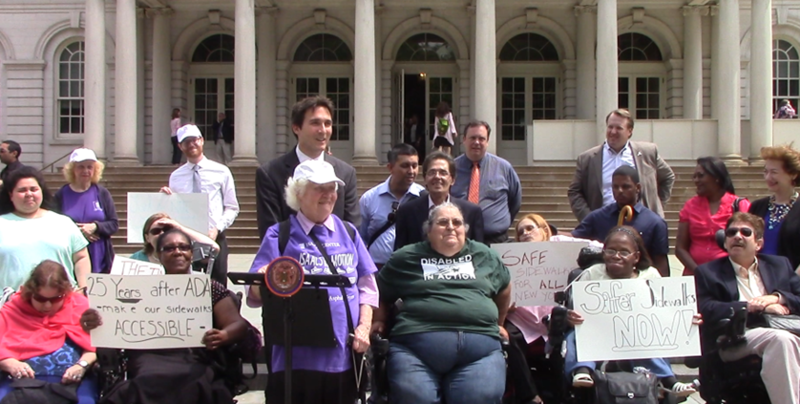 We rallied together with tenants to demand a moratorium on Section 8 Downsizing, a policy that was pushing seniors and disabled New Yorkers into smaller homes. Since then, we have won a huge victory as HPD has ceased downsizing of elderly couples and families from one bedroom to studio apartments. The New York Daily News and NBC 4 covered my legislation that requires owners of affordable housing to register those units with the Department of Housing Preservation and Development (HPD) who would in turn create a centralized database that accepts a single universal application for all affordable housing. Landlords have received over $1 billion dollars in tax breaks and abatements to build affordable housing, but the City has no way to verify that the affordable units were built. Recent investigations by ProPublica, in which I was featured, found that between 50,000 – 200,000 units of affordable housing are being hidden from New Yorkers. Our City is in desperate need of affordable housing and we cannot allow landlords to hide even a single unit of it from the public. Please help ProPublica investigate New York City Rents. 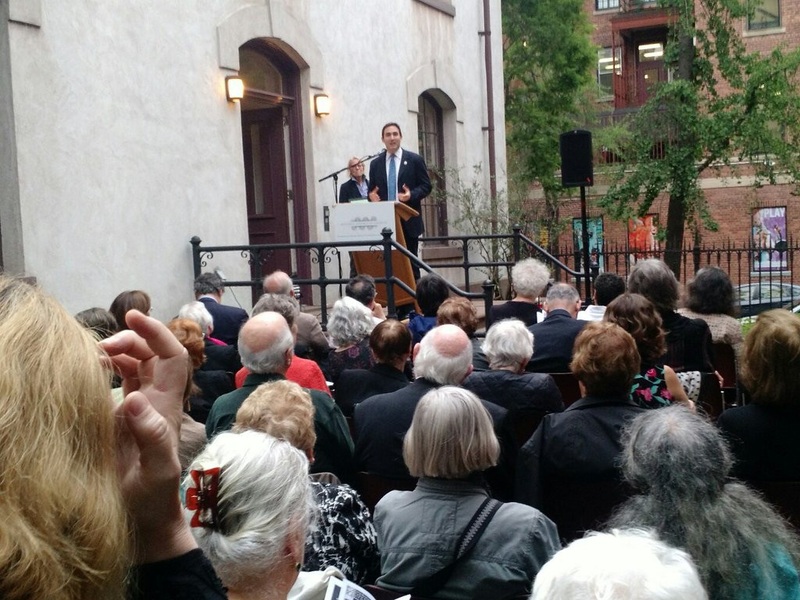 When the Mayor’s housing plan called for adding height to the contextual height caps that protect the East Side’s quiet side streets, I opposed the measure with Borough President Gale Brewer and Senator Liz Krueger, so developers wouldn’t tear down rent stabilized buildings to get more height. The Department of City Planning heard us, and agreed to protect the midblock. As amended and passed by the City Council, Mandatory Inclusionary Housing and Zoning for Quality and Affordability (MIH/ZQA) requires new affordable housing to be built whenever developers are given additional height or density to build in Manhattan. No height increases in R8B districts protecting the quiet midblock with a 75-foot height cap on the East Side. Reduced height increases, bringing the maximum R10A increase from 50 feet to 25 feet with different heights for narrow and wide streets of 210 feet and 235 feet. Protected seniors from being squeezed into 275 square foot micro units. Protected the Sliver Law which prevents towers narrower than 40 feet wide. Housing for lower income New Yorkers at 40 percent of Area Median Income (AMI): $31,000 for a family of three. An additional option for 20 percent at 40 percent of AMI. Required HPD to track, register, and monitor new affordable housing as would be required by Introduction 1015, legislation I authored. After marking the 50th anniversary of the landmarks law, the law came under attack, first with a proposal to remove hundreds of buildings from protection without review, and then with legislation that would have created a five-year moratorium incentivizing historic communities to be razed. In response and in opposition we forced the Landmarks Preservation Commission to review each and every site in the backlog and a version of the legislation did pass in 2016, after my advocacy it was amended to remove the moratorium and added more time. Recently after many years of work alongside FRIENDS of the Upper East Side Historic District, we succeeded in the preservation of the small wooden clapboard house at 412 East 85th Street by the Landmarks and Preservations Commission and the City Council. 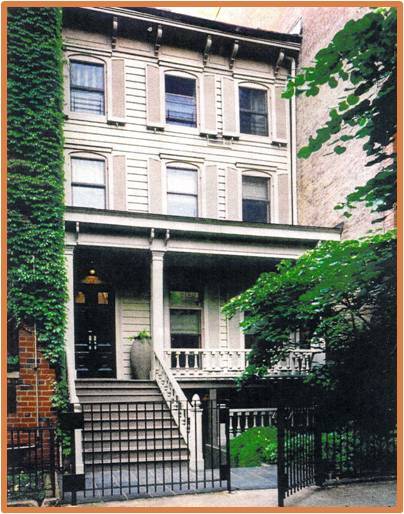 We have also worked with FRIENDS to fight back appeals from the Stahl Company in order to keep the City and Suburban First Avenue Estates landmarked. 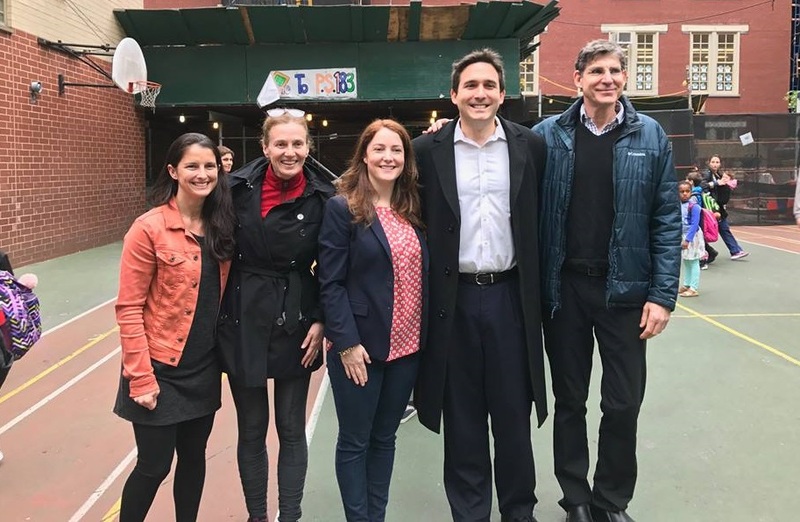 The New York Times covered legislation I introduced in August of 2016 with Public Advocate Letitia James and Manhattan Borough President Gale Brewer, along with support from Assembly Member Daniel O’Donnell and State Senator Liz Krueger. If you have been to housing court whether you won your case or not, you are likely on the Tenant Blacklist. The legislation I introduced ensures that tenant screening companies who create “tenant blacklists” would be regulated and forced to provide fair and complete information, including court records that show when tenants were in the right. The aim is to decrease the number of prospective tenants who are being denied a place to live because they were involved in a housing court case. This bill would go hand in hand with another bill I introduced in 2015 that allows tenants to file complaints with the New York City Commission on Human Rights if they are discriminated against based on housing court information. Under my tenant blacklist bill, screening companies would be required to obtain a license from the Department of Consumer Affairs and pay a fine for inaccurate reporting. Anyone who believes they have been harmed by an inaccurate screening report could bring their own case in court. Learn more by reading the release or checking out the coverage by DNAinfo, Real Deal, Curbed, and the New York Times. The Wall Street Journal reported on legislation I introduced to improve access to the city’s 538 privately owned public spaces (POPS). The legislation imposes steep fines for bad landlords who violate the terms of their agreements with the City. POPS are created when developers want to build bigger buildings than neighborhoods are zoned for. In exchange for permission, developers turn small lots into open or green space for public use. Building owners are then responsible for maintaining the space in perpetuity. 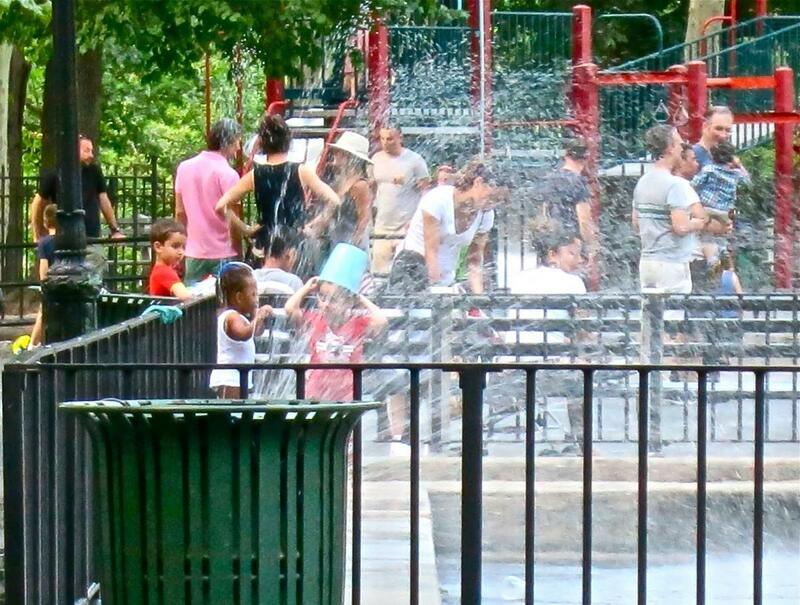 My legislation would require signage at all POPS detailing amenities, hours of operation, and a website for the public to find more information, and would set higher fines for those who close off their public space. A package of legislation totaling 12 bills aimed at stopping landlord-tenant harassment in New York City was heard in the Committee on Housing and Buildings in April. Whether it is unreasonable construction noise or safety violations by landlords putting tenants at risk this is a pressing issue in our City that needs to be stopped. My legislation, Int. 931would force landlords and property owners to actually respond to the violations and summonses they are given by the City for failing to make repairs, or else face the threat of foreclosure on their properties. For far too long some landlords and building owners have neither fixed recurring problems on their properties nor paid the fines that go along with those violations, putting tenants in unsafe conditions sometimes for years on end. If my bill becomes law, that would stop. For more information on my bill and the rest of the package of legislation read the Stand for Tenant Safety release and coverage in City Land. Many buildings on the Upper East Side that contribute to overdevelopment were built in conflict with the zoning law, thanks to permission from a little known five-member City agency called the Board of Standards and Appeals (BSA). In the past developers have been able to circumvent city zoning laws that restrict building heights, shapes, use, density, and affordability with favorable decisions from the BSA, despite opposition from neighbors, community boards, and elected officials. I pledged to reform the BSA when I ran for office and again at my Inauguration. Inspired by the 1976 and 2004 reports of the Municipal Arts Society, the five laws I authored were coupled with a bipartisan package of bills that together will reform applications, decisions, notifications, staffing and transparency at the BSA. For more information read the release or and read the coverage in the Queens Chronicle, Sunny Side Post and the Staten Island Advance. When I ran for office, I promised to work for you full time without taking money on the side from private employment as a lawyer. I also promised to work for you, not the Speaker of the City Council, foregoing the common practice of receiving tens of thousands in personal income called a “lulu” for being a Committee Chair, which the Daily News long called “legal bribery.” 47 Council Members, were offered a stipend of between $5,000 and $25,000 for serving as committee chairs or leadership. 34 council members made a pledge to Citizens Union as council candidates in 2013 to limit stipends to the Speaker and Minority Leader. Despite their pledges, only 10 members refused the money in 2014 and for their entire terms with two more joining in 2015. So I kept my pledge, the Daily News saluted my integrity calling me a “Hero” and I wrote the law that made outside income and lulus illegal so that all city elected officials would work exclusively for their constituents. New York City’s model campaign finance system was protected and improved by a package of legislation the Council passed into law in December of 2016, as reported by the New York Daily News and the Gotham Gazette. Closing Campaign for One New York Loophole (Law 181 of ’16, co-prime sponsor) – by limiting contributions to non-profits controlled by elected officials and disclosing donors. Quelling Special Interests Dollars (Law 167 of ‘16) – by ending the practice of matching funds bundled by lobbyists and special interests with public dollars. Early Public Fund Payments (Law 168 of ‘16) – to help campaigns that take public dollars get on the ballot and reach voters. Better Debates (Law 169 of ‘16) – by only including campaigns that are spending money to win. Save Paper and Money on Voter Guide (Law 170 of ’16) – by allowing voters to opt-out of receiving mailers. Same Day and Online Registration Advocacy (Res. 1061 of ’16) – to pass state constitutional amendment. Following problems at the Board of Elections in the presidential primary, the City Council passed my Voter Information Portal legislation into law. Nearly ten years after I launched VoterSearch.org, the portal will allow any voter to look up their voter registration status, poll site location, and voting history. It allows voters to track the status of an absentee ballot from request to submission, ensuring that even if someone can't physically vote at a poll site, they can still ensure their ballot gets counted. Had this voter portal been in place for April's primary election, hundreds of thousands of voters would not have had to find out they could not vote at their poll sites, when, for many, it was too late to do anything to fix it. In 2013, I promised to secure affordable broadband for low-income New Yorkers from our internet franchisers. In 2015, when Charter Communications sought to merge with Time Warner Cable to, I joined Public Advocate James testifying at hearings and advocating for the Public Service Commission to require any company acquiring Time Warner Cable help bridge the digital divide by providing low-income residents with low-cost, high-speed broadband Internet. In March, I fulfilled my promise by announcing Spectrum Internet Assist, a new low-cost, high-speed broadband program, alongside Public Advocate Letitia James and Charter Communications. It is my hope that this initiative will help close the digital divide by providing nearly one million people with affordable high-speed internet access for the first time. For more information read the release, see the coverage on NBC 4, NY1, DNAinfo or West Side Spirit, or visit www.SpectrumInternetAssist.com. 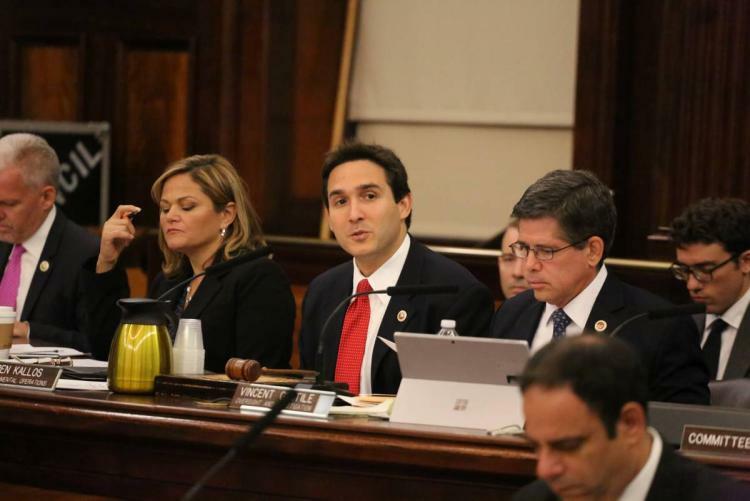 As chair of the Committee on Governmental Operations, I have held a series of oversight hearings, covered in the New York Times and Wall Street Journal where we have investigated and gotten many answers about what really happened at the Rivington nursing home. After deed restrictions were lifted, the property was sold becoming luxury condos. By questioning City Hall officials under oath and in public, we got a detailed account of what went wrong and passed a law to prevent it from happening again. Now, as covered by the Daily News, the City is putting new deed restriction modification applications through a new review process that includes greater community input. Introduction 1130-A that I authored and introduced with Council Members Lander and Cabrera, increases the public matching grant from an arbitrary partial match of 55% to a full match. Every small dollar raised from city residents would be matched 6 to 1. 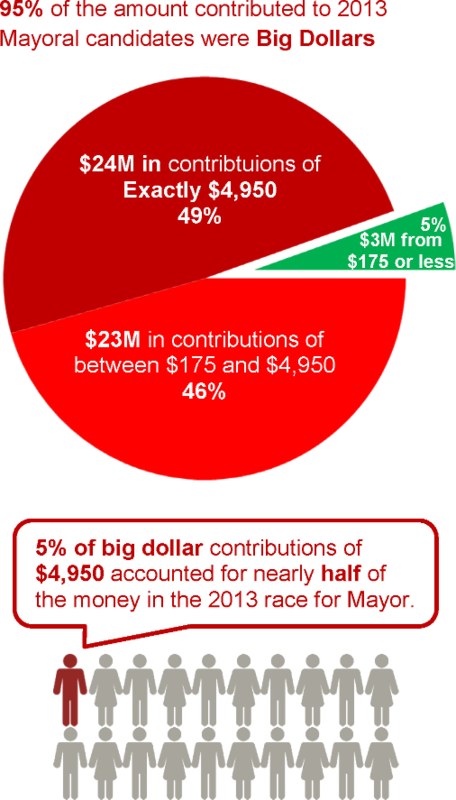 Candidates could still raise contributions of $4,950 for Mayor, but would be incentivized to seek small donations from many more residents by matching every small dollar. As covered in the Gotham Gazette, I rallied with activists from: Citizen Action, New York Immigration Coalition, New York Communities for Change, Patriotic Millionaires, Strong Economy for All, Urban Justice Center, Tenants and Neighbors, Historic Districts Council, colleagues and candidates to get big money out of city politics with Introduction 1130-A. Following the rally, I held a hearing of the Committee on Governmental Operations at which a diverse coalition of good government, immigration, women in politics, housing, preservation, and economic justice groups testified in support of the bill. We also received supportive testimony from the Mayor’s office. Since I took office, I have argued that the city needs to use the Mayor’s Management Report (MMR) effectively and transparently so that New Yorkers can judge for themselves how well our city is being managed. As the Wall Street Journal reported, I warned that the “bar was being set too low” in the MMR on important issues like public safety, public health, or helping homeless off the streets. After three years of work on this issue as chair of the Committee on Governmental Operations, we have made significant progress. In late 2016, the Mayor’s Office of Operations announced that agency rulemaking and agency spending would now be more transparent and accurate in its reporting. The Citizens Budget Commission supports my assertion that New Yorkers should have details on how their tax dollars are being invested in improving our city. The Mayor’s administration had made a commitment to continue to work together on getting our management reporting and the city back on track in 2017. Catching Scofflaws (Law 45 of ’16) – Information added to all quality of life violations will help identify who is responsible and collect fines. Stopping Repeat Offenders (Law 47 of ’16) – City agencies that issue quality of life violations are now required to deny, suspend, or revoke licenses and permits for unpaid fines or repeat offenders. Counting Every Life on the Construction Site (Law 78 of '17) - by forcing contractors to report injuries and deaths at constructions sites or face fines up to $25,000 to count every injury and every life, so that we will know the who, what, where and why around every injury or death to help make construction in our city safer. Application Requirements (Law 103 of '17) - for developers to show why zoning laws should not apply to them with fines of up to $15,000 for knowingly falsifying information. Financial Expertise (Law 102 of '17) - provided for the city with a state certified Real Estate Appraiser to review and analyze developers' financials. Protecting Neighborhood Plans (Law 101 of '17) - by designating a coordinator at City Planning Commission to defend the city's plan from unnecessary variances. Reporting on Variances (Law 104 of '17) - including the number of pre-application meeting requests, number of applications, number of variances approved or denied, and the average length of time for decisions. Map to Prevent Rezoning by Variance (Law 105 of '17) - with an interactive online map of all variances and special permits granted since 1998. Prohibiting Outside Income (Law 20 of ’16) – The City Council now works full time for the people without the influence of other sources of income. Eliminating “Legal Bribery” (Res. 980 of ’16) – Former Speakers used to reward Council Member allies with payments in lieu of compensation, or “lulus,” a practice that the Daily News called “legal bribery.” My resolution banned it from the City Council. Closing Campaign for One New York Loophole (Law 181 of ’16, co-sponsor) – by limiting contributions to non-profits controlled by elected officials and disclosing donors. Voter Information Portal (Law 65 of ’16) – Will empower voters to track an absentee ballot, find poll site location, view ballots, and verify registration status and that votes were counted. Pro-Voter Law Expansion (Law 63 of ’14) - requires 25 city agencies to provide voter registration forms and assist individuals with completing them, so everyone gets registered. Online Voter Guide (Law 43 of ‘14) - saving the environment and money, while increasing access to information in off-year uncontested elections. Open Legislation (Res. 184 of ’14, co-sponsor) – as part of the Council’s rules reform process, I provided language requiring posting legislation online and public engagement. Open Mapping (Law 108 of ’15) - standardizes address and geospatial information so Open Data has location information. Law Online (Law 37 of ‘14, co-prime sponsor) – puts our city’s law online for you to search, download, and read. City Record Online (Law 38 of ‘14) – public notices from the city, previously published in a daily newspaper, are now online and fully searchable so you can learn what is happening in your community. Reforming Waterfront Management (Law 96 of ’16) – resuscitates an advisory board for advocates, experts, and all levels of government to use and protect over 500 miles of shoreline. National Women’s History Museum (Res. 354 of ‘14) – supporting Congress Member Maloney’s successful passage.